American Redi-MIx found us while doing The World of Concrete - Artistry in Concrete, in Las Vegas, NV., back in winter 2007. The polishing process was still relatively unknown and that is why they were at W.O.C. Their idea was to show clients what different ordinary concrete mix designs could look like as finished flooring in there new administration offices. 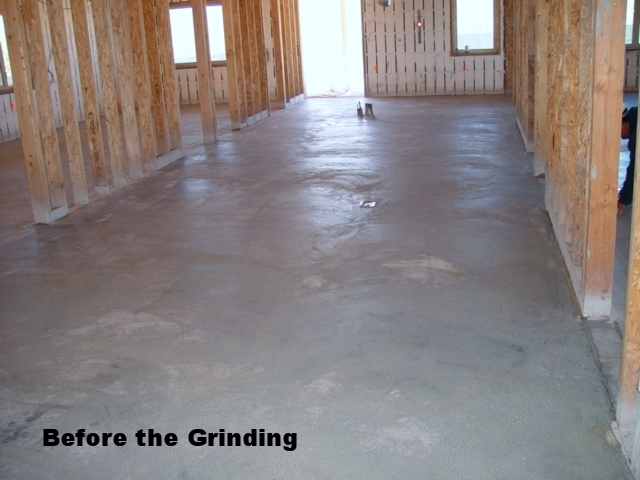 They liked the really deep grind and aggregate exposure that we call Terrazzo-Crete. The embedded eagle is made of iron. This is not the easiest metal to polish over but as you can see, We did it.